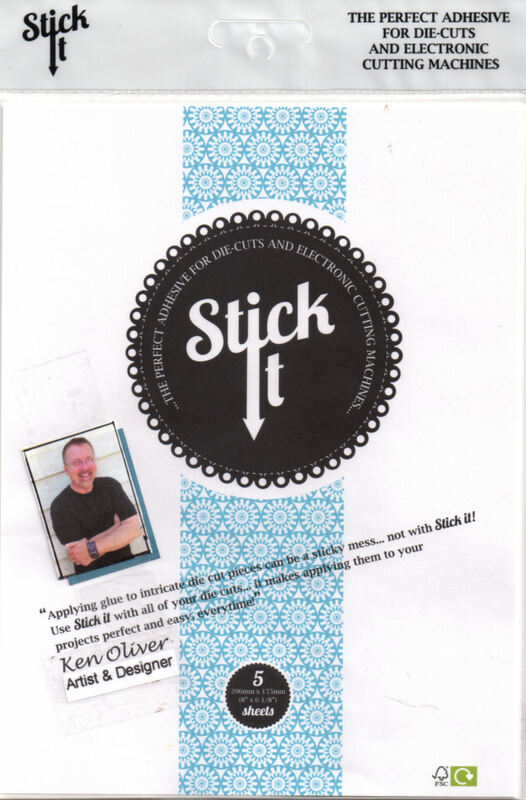 Ken's World in Progress: The "Craft Your Stash" Book Tour & Give Away! 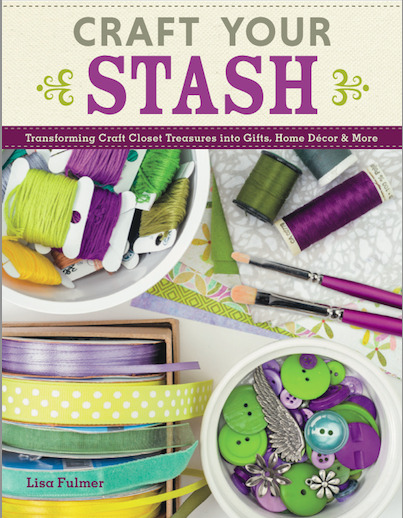 I could not have been more excited when I heard that Lisa Fulmer was writing a new book called "Craft Your Stash"! I was giddy with excitement when she asked me if I'd write a little review about her new book...So whether you've stumbled upon this review from Facebook, or you're following along the Book Tour and Blog Hop...YOU ARE GOING TO LOVE THIS BOOK! I gotta tell you...she had me hooked with the great sections at the beginning of the book with color theory, storage and organization, projects and crafting your stash! Those sections are wonderful...and chocked full with loads of cool ideas! Whether you're an experienced crafter or a beginner...these sections at the front of the book will inspire you, and prompt you with lots of new ideas and new ways to make cool crafts with things you may already have on hand! And from the minute I opened the new book...I was inspired...no, compelled, almost as if hypnotized into going to my big chest of paper to CRAFT MY STASH! 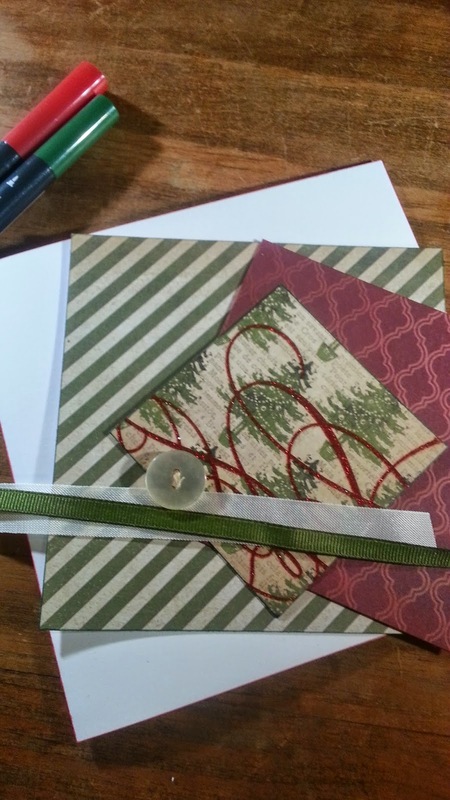 It was this picture that got me...a simple card set, made with leftover papers. I could not stop myself...Lisa included some awesome card sketches in the book that make "crafting the stash" simple...and inspiring. And, since I have collected more Christmas paper than Mrs. Claus...I decided to make a few Christmas cards. 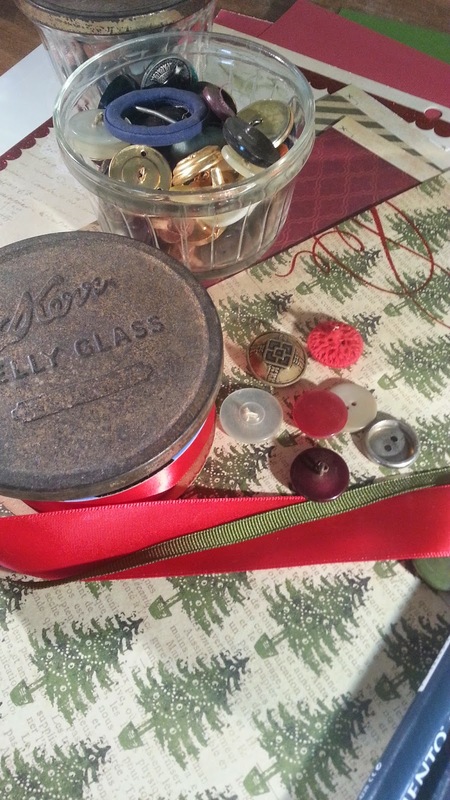 I even pulled out the antique jelly jars filled with vintage buttons, ( I only get them out for special craft occasions). 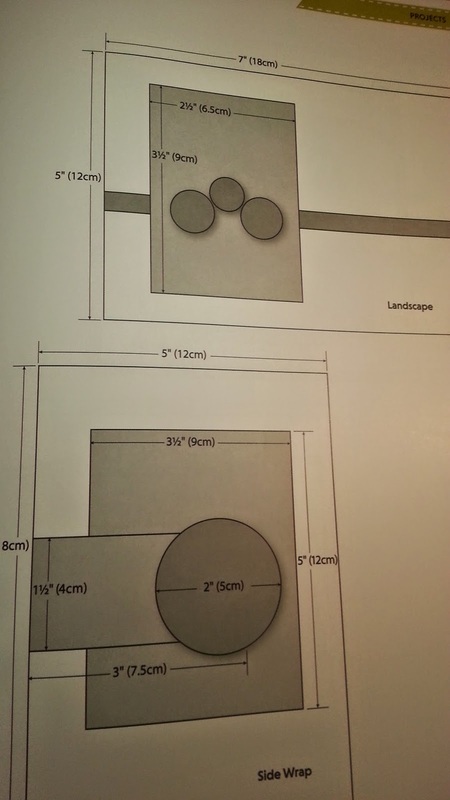 And I just followed the sketches and instructions...it was too simple! 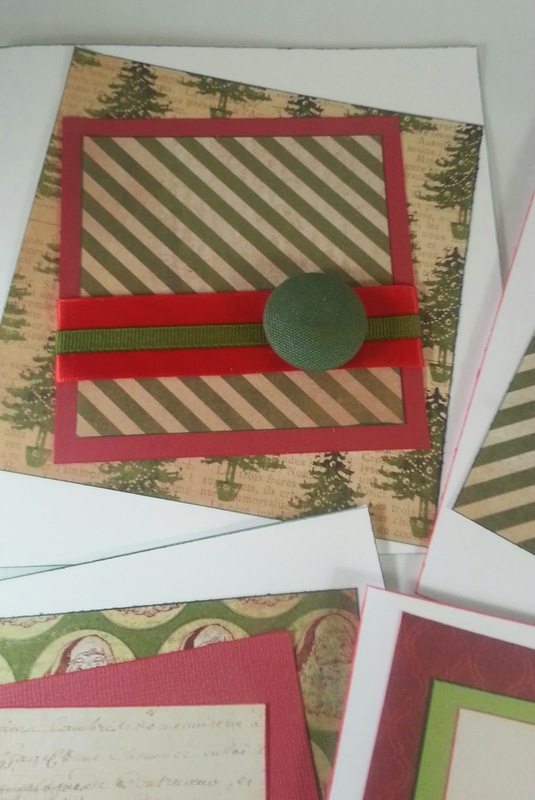 Before I realized, I'd created a cool set of Christmas cards, that seemed both clean and simple and kind of retro at the same time, owing to the papers, ribbons, and vintage buttons I'd used. I also saw about 10 other projects that I need to do...because they're so awesome. You can go to Lisa's CRAFT YOUR STASH website to get a signed copy (recommended), or, you can log in using the widget below to sign up to win a free copy! 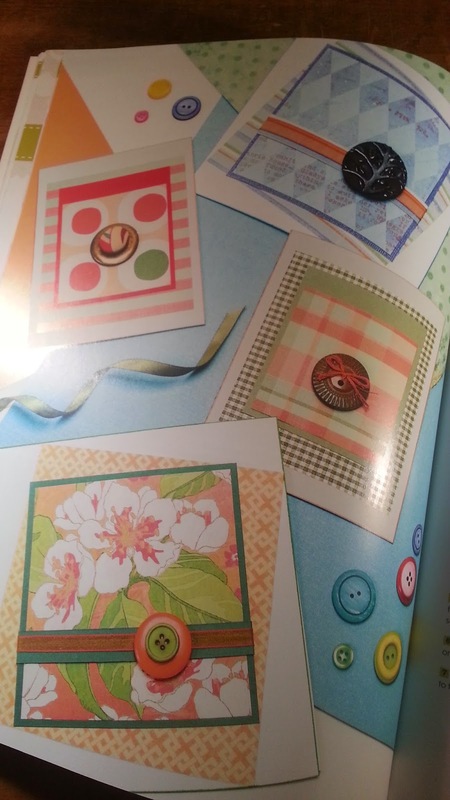 I am giving "CRAFT YOUR STASH" 5 STARS, a THUMBS UP, and 3 snaps in a "Z" formation because this is one craft book that rocks! Thanks to Lisa for this great new book, I have a feeling it will be my new "go to" book for inspiration! 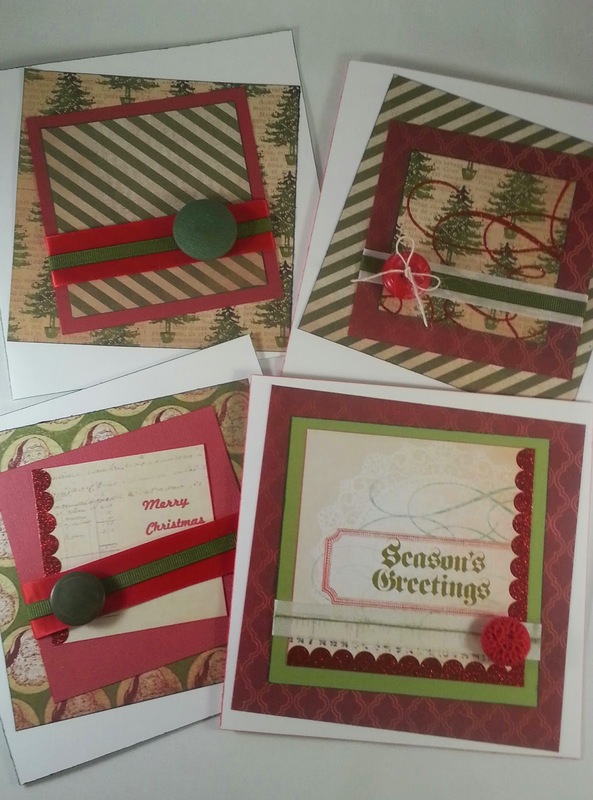 Check in with some of your favorite crafters by using the links below...You'll want to hear what they had to say about Lisa Fulmer's CRAFT YOUR STASH! Seriously bad hoarding issues and that was before my trip to the States. Now I can't craft because my table is covered in all the stuff I need to find homes for... I need help! Hi Paula, make sure to sign up for the Give Away! You will love this book and I hope it will be available in New Zealand for you. I can only imagine the stash you took back from your recent visit. Thank you again for your comment. I am really glad we got to meet during your last visit...it was a real pleasure. Great review, Ken. The book sounds very inspirational. Thank you Jean...yes the book is inspiring and is a must have if you've been hoarding crafts supplies...make sure to sign up for the give away. I have a little of everything and not enough room to store it. I usually end up crafting on the floor in the corner because of lack of space - until the kids move out. Hi Cheri, Storage space is always a challenge...what you'll love about this book is there are some great tips about organizing and storing your stash...even in a small spaces. 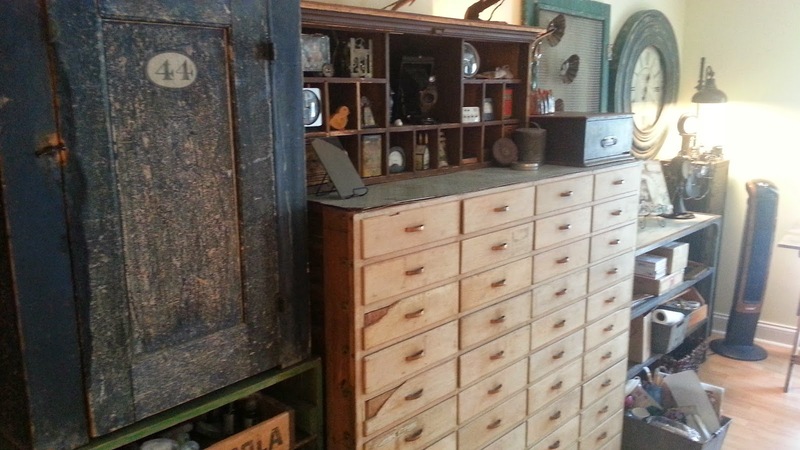 And there's a project or two that will help you create storage solutions! You'll love it, Make sure to sign up for the give away. sounds like just the book for me ... you know how when you move you get rid of all kinds of stuff and everything is so fresh ... I did that with every room in the house except the craft room ... yep you got it ALL my stash had to come ... my kids have told me for years I am a craft supplies and weird junk to craft with hoarder !!! I NEED this book !!!! Hi Robin, yes it is the book for you. I think the mind of the crafter sees a creative opportunity in nearly everything that we touch...CRAFT YOUR STASH will help you make use of that "weird junk" you mention. One of the coolest projects, a sun catcher, uses soup can lids...I went straight to the store to get soup cuz I have lots of little tidbits that will make great sun catchers...thank you again and make sure to sign up for the give away! This book is at the top of my Gotta Get It list!!! 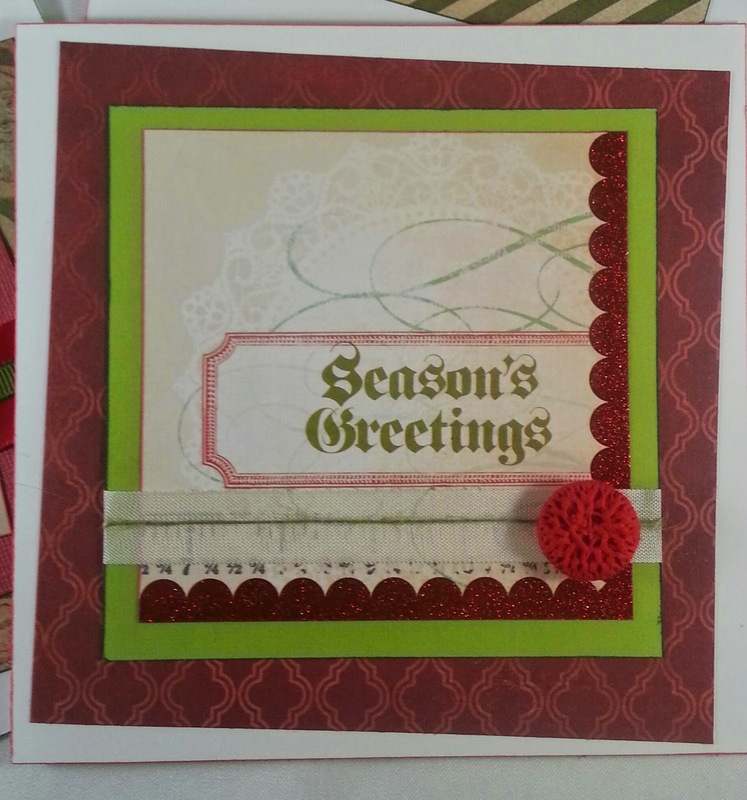 So far I have seen lots of great ways that would inspire me to Craft My Stash also!! I think I could supply ALL of Michael's chains with paper for a year and still have plenty leftover for myself! Your awesome drawers need to come visit me! I would make them feel very welcome and they would probably want (no NEED) to stay forever! They are absolutely amazing! TFS! Hi Barbara...yes you "gotta get it." This book is will inspire you to find new ways to make use of that ever-growing STASH of craft supplies. Make sure that you've signed up for the Give-Away. I love my big o chest of drawers...I can hide so much stuff in there...but, CRAFT YOUR STASH is going to help me make use of some of that paper I've been hoarding for the past few years for sure! fabulous cards, Ken - thanks so much for being on the tour - you rock! 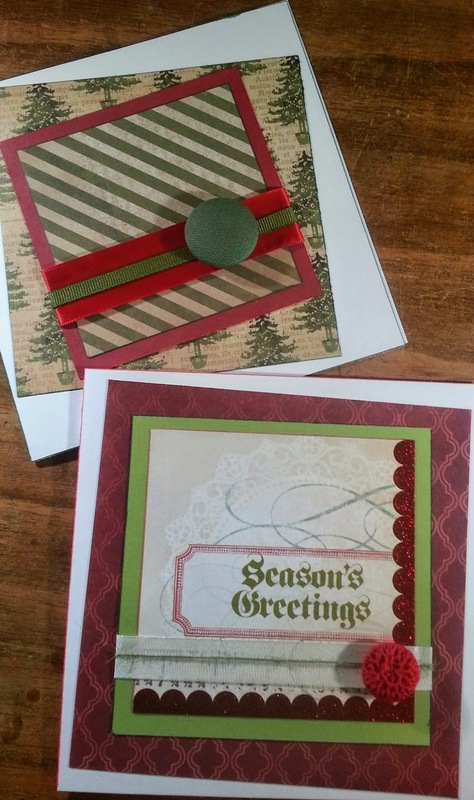 Thank you Lisa, and thanks for including me on your CRAFT YOUR STASH Book Tour and Give Away...Congratulations on your now book! I'm really happy to see that it's up there in the Amazon "Best Sellers!" 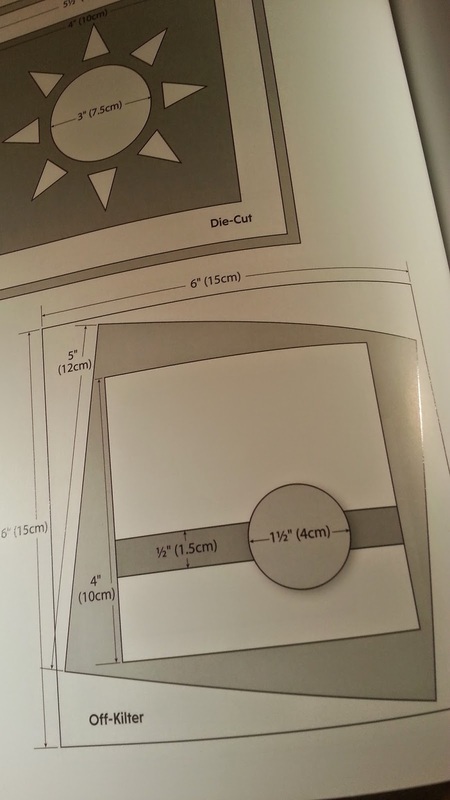 Lisa Fulmer...you rock...the book it's awesome sauce for every crafter!